A new fun- and family-centered outdoor activity zone, Mugabu was looking to capture the hearts and minds of its audiences. But to do that, it would need a marketable brand identity and communication strategy that really endeared the brand to its new customers, ensuring that they return for more fun. We came up with a complete go-to-market brand identity for Mugabu. 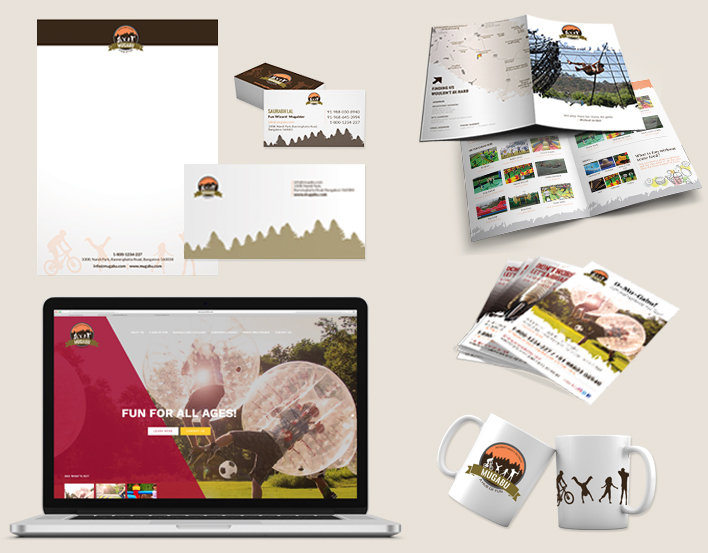 We designed their logo, merchandise, stationery, came up with a catchy tagline and even designed and developed their website, covering all business-critical customer touchpoints. Mugabu was primed and ready to sweep its customers off their feet. Mugabu launched with imminent success, experiencing high footfalls consistently after the grand opening. Thanks to our efforts, its SEO ranking has been high and steady, making it easy to find and a website that’s also easy to navigate with a highly customer-friendly UI and UX. We even boosted engagement on social media platforms with relevant content.